A Crianza (aged) red made predominantly from Cabernet Sauvignon with a small amount of Merlot and Callet. Aged 12 months in oak barrels used for one vintage, followed by another year in bottle. A very well structured, elegant and complex wine. Grape varieties: Cabernet Sauvignon, Merlot and Callet. Type of wine: Red “Crianza”. Alcohol content: 13.5-14.5 % vol. Ageing: 12 months in American oak barrels, followed by bottle ageing. Tasting Notes: Intense, bright cherry red with aromas of roasted coffee, toasted oak and vanilla, against a backdrop of leather and animal skin, with soft hints of ripe fruit. On the palate it is pleasant, meaty, tasty, persistent and well balanced. Food pairing: pairs well with red meats and cured cheeses. – Silver Medal for the 1999 Vintage – “III Salón Internacional del vino. Madrid 2002”. 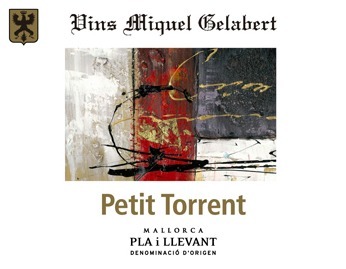 – 1st Prize – “1º certamen de vinos mallorquines de Manacor 2002”. – Bronze Medal for the 2001 Vintage – “XI Edición Nacional y III Internacional de los Premios Zarcillo” of Castilla y León 2003. – Silver Medal for the 2005 Vintage – ”Concurso Internacional Premium Select Wine Challenge ProWein 2010”.